BANGKOK, 19 March 2019 (NNT) - Deputy Prime Minister/Defense Minister Prawit Wongsuwan confirmed that the government is still committed to eradicating human trafficking. Defense Ministry Spokesman Lt Gen Kongcheep Tantravanich said the deputy premier chaired a meeting of the Human Trafficking Prevention and Suppression Committee at Government House to acknowledge progress of anti-human trafficking operations. The committee considered revision to a report on Thailand’s anti-human trafficking operations during January - March 2019 with intent to prosecute alleged human traffickers, protect victims, and prevent such illegal racket from recurring. The report will be submitted to the United States on 5 April 2019. The deputy premier said the government will not allow Thailand to be plagued by human trafficking cases which could probably compromise the principles of human rights and cause negative effects to the national economy and reputation. He said efforts should be taken to enhance legal measures against human traffickers, and expose any underlying network who might benefit from beggars, prostitutes, forced laborers, and illegal migrants while all pending cases are to be proceeded without exception, especially involving any government officials. He called on all government units to pursue anti-human trafficking policy and study the revision to the U.S.’s anti-human trafficking law to adjust the government measures accordingly. so no more cops owning karaoke bars? The local brothels here on the Eastern Seaboard are chock-a-block with dubious age Laos girls. Someone is making a fortune bringing them in under protection and I bet it ain't them nasty furriners. Bet my bottom dollar the beneficiaries all wear brown or green. 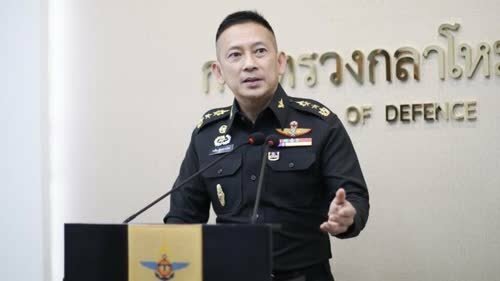 Deputy Prime Minister/Defense Minister Prawit Wongsuwan confirmed that the government is still committed to eradicating human trafficking. Still committed can be meant as still kicking the can. So till then, the extortion and protection money from human traffickers will still be collected by the uniform groups. And by the televised debates and vocal output all the non junta parties and seemingly majority of Thais are still focused on eradicating them from control, although eradicating human trafficking is very important. Of course it is. How many soldiers were banged up as a result of the army-constructed Rohingya makeshift prisons on the Malaysian border just a few years back? Just the one was it? That's true commitment and no mistake. Does anyone believe anything Mr Piggy says these days? I believe the actual words used were "not on his watch". Thanks a lot for this time not showing one more ugly toad pic. All that worry and responsibility I suppose..
300 a pop now at a roadside checkpoint for these poor people. In all fairness, seeing how the present drivers want to steer this land into the future they do not resort to foreign pots; the locals here at the bottom end of the ladder are not far off those "trafficked". The same response for the past 2 decades. "probably" !!!! There is nothing probable about it. Modern slavery and human trafficking is an abomination and totally ignores any human rights! It's about time that all those involved in this despicable trade are brought to book! This includes the top brass in the armed forces and police who knew it was going on but turned a blind eye! Nope, unless Prawit is getting his cut!